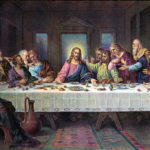 The following guest post was written by Father Eric Andersen, pastor of St. Stephen Catholic Church in Portland, Oregon. St. Stephen’s is a parish which offers both forms of the Roman Rite. 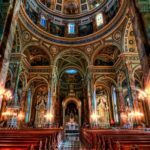 Many Catholics do not know their liturgical heritage. Experiencing a Solemn Traditional Latin Mass for the first time can seem so unfamiliar. At first, one might feel disoriented. What is going on? How do I participate? 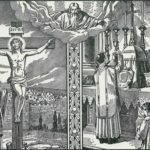 If you are new to the Latin Mass, my recommendation to you is not to worry about how to participate. Put down the booklet all together. Watch and listen in the silence and let your prayer arise. Have no expectations. Let yourself be surprised. Let the Holy Spirit be your guide. Treat this time like a holy hour before the Blessed Sacrament. Realize that during this Holy Hour, something magnificent is happening: Jesus Christ, the High Priest, is offering the Holy Sacrifice. As you observe in silence, get the big picture first. You know more than you think. 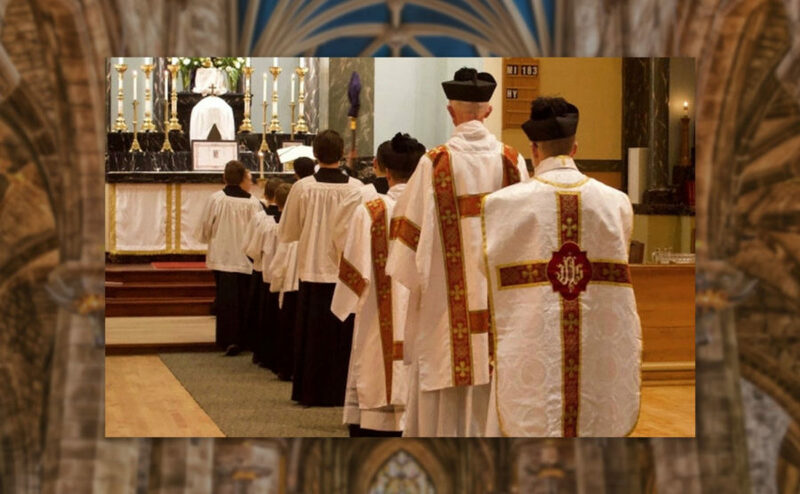 You already know the basic structure of the Mass: Procession, Incensing of altar, Kyrie, Gloria, Opening Prayer, readings, Sermon, Credo, Offertory, more incense, Preface, Sanctus, Canon (Eucharistic Prayer I in silence), Pater Noster (Our Father), Agnus Dei, Communion, Ablutions (purifying the vessels), Closing Prayer, Blessing, Recession. There are some other moments you might not be so familiar with, such as the Sprinkling Rite, the Prayers at the Foot of the Altar and the Last Gospel (The Prologue of St. John). Observe them. Take it all in and get the big picture. Don’t worry about what to say or do. Just follow the directives to sit, stand, or kneel as they are given. If you know the chants and responses, sing along. Otherwise, don’t worry about it at this point. After one or two Masses participating in this way, then pick up and read through the missalette before the Mass starts. Look at the basic structure of the Mass so you know ahead of time what your road map will be. 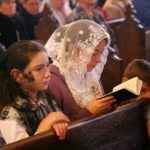 Once you know where you are going, an appropriate way to participate is to pray the Mass like the Divine Office, silently praying the words in English, while the priest prays them quietly in Latin. If I could not hear anything, I would still know exactly where the priest was in the Mass by watching it. 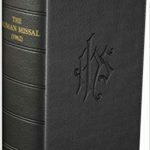 Whereas, if I were to attend the modern Roman Rite of the Mass, without hearing anything, I would need a translator using sign language, or pointing to the right place in the booklet, to tell me what was happening at any moment in the Mass. Why is that? “The chants of the Sanctus are followed by profound silence, the first time in the Mass for silence of this depth––silence from the priest and silence from the faithful. This calls to mind not only the high priest of old going into the Holy of Holies alone, but also that the carrying of the Cross has come to an end, and Christ is now nailed to it.…The silence of the whole congregation––even if there are priests in attendance or if a bishop is attending––humbles us, as it is symbolic of the fact that none of the apostles or disciples raised their voices in defense of Christ at any time during His Passion” (Nothing Superfluous, p. 200). Go see for yourself, and let the Traditional Latin Mass surprise you.